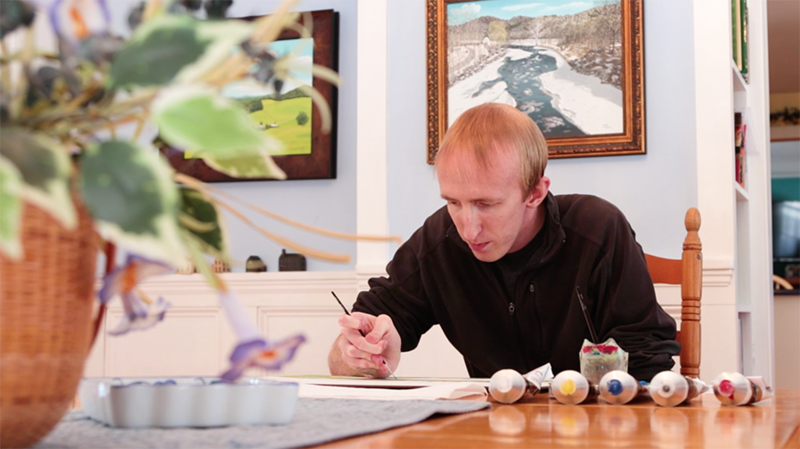 SUNY Adirondack alumnus Jacob Houston paints at his dining room table in Greenwich. Jacob Houston has always planned to be a painter. Just a few years after graduating from SUNY Adirondack, the Greenwich native is reaching a professional milestone with a solo show at The Hyde Collection in Glens Falls. “It’s the biggest thing yet in my art career. When I got the email inviting me, I thought it wasn't real,” said Houston. “A Magical World: The Art of Jacob Houston,” which features 23 of the artist’s paintings, runs April 7 through June 23 at The Hyde. Houston graduated in 2015 with a liberal arts degree from SUNY Adirondack, where he thrived in his art classes. In 2018, SUNY Adirondack enriched its art curriculum by creating a Fine Arts degree. The associate of science degree, which focuses on drawing, painting, two- and three-dimensional design, graphic arts, photography and art history, is designed for transfer to a four-year college. The most popular transfer institutions for the program include SUNY Plattsburgh, University at Albany, College of Saint Rose, SUNY Empire State, SUNY Potsdam and SUNY Oneonta. Houston credits the art faculty with mentoring his artistic development. Hampshire is impressed with how much Houston has achieved in a short period of time. See Houston’s art on his website, www.jacobhoustonart.com. Agricultural Business student Ethan Smith takes notes during a class in Wilton. Ethan Smith had dreams of getting a bachelor’s degree in agriculture from SUNY Cobleskill, but he couldn’t afford to leave Washington County. Smith, a 26-year-old from Greenwich, needed to be able to take classes close to home. When he heard about SUNY Adirondack’s associate degree in Agricultural Business, which seamlessly transfers to SUNY Cobleskill, it seemed like the right time to pursue his college goals. But as an adult student with a full-time job in construction, he also needed a flexible class schedule. 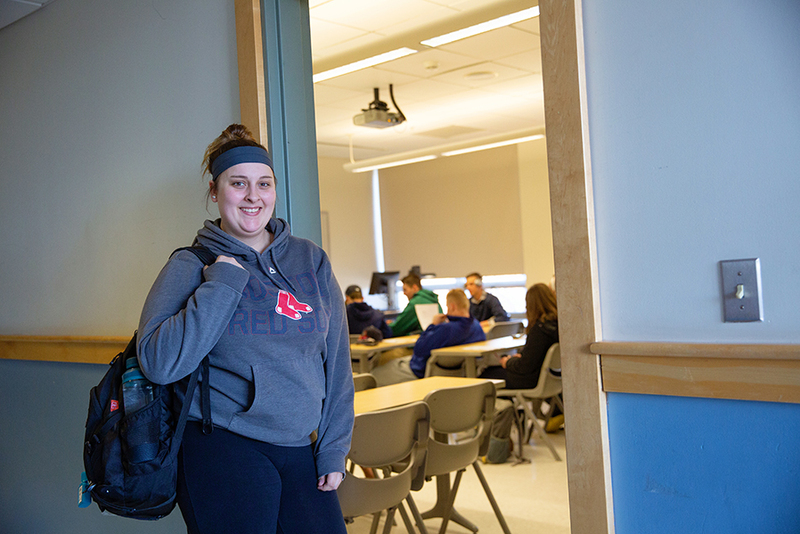 “I’ve been able to schedule classes in both Queensbury and Wilton, and I appreciate that there are classes offered at different times,” Smith said. The associate of applied science degree prepares students for leadership roles in the field of farm and food systems. Students study a combination of business and science topics to support their success in the rapidly expanding economies of small farms, niche growers and specialty producers. According to London, the college has continued to develop its on-campus market farm and has expanded it with new agreements to sell to the dining hall and to Seasoned, the student-run restaurant in downtown Glens Falls. “This will continue to provide our agricultural business students with a hands-on ‘lab’ to work on agricultural production, sales and marketing,” she said. Smith, who hopes to start his own farm, has benefited from the approach in many of the courses, which have included visits to area agricultural producers. Courtney Rozell switched to the Physical Education Studies major to help her pursue a sports-focused career. Courtney Rozell is turning her love of athletics into a career. At Whitehall High School, Rozell participated in soccer, basketball, bobsledding, softball and cheering. “I basically played two sports a season,” Rozell said. She enrolled at SUNY Adirondack to pursue a liberal arts degree, but her younger brother inspired her to switch majors. “He is learning to play sports, and working with him made me realize my true passion is for sports and education,” said Rozell, who volunteers as a Pee Wee basketball and softball referee in her free time. The college’s new Physical Education Studies degree aligned with Rozell’s newfound goals. The associate of science degree program prepares students to become leaders in athletic teaching and coaching. The curriculum meets the SUNY General Education requirements and the SUNY Seamless Transfer Physical Education pathway. Upon graduation, students can transfer to a four-year college or university, including SUNY Cortland, SUNY Brockport, SUNY Potsdam, SUNY Canton and Castleton University. Dennett views the degree as a complement to the college’s athletics program. “Many athletes have the desire to pursue their sport of choice and play at the collegiate level, and we can provide that opportunity for them here at SUNY Adirondack. A number of our athletes have continued their education after graduation and transferred into the physical education and sports management degree pathways to continue their success as student-athletes,” he said. According to Rozell, who plans to transfer to Castleton College after graduation in May, the curriculum has prepared her for the next step toward a career. 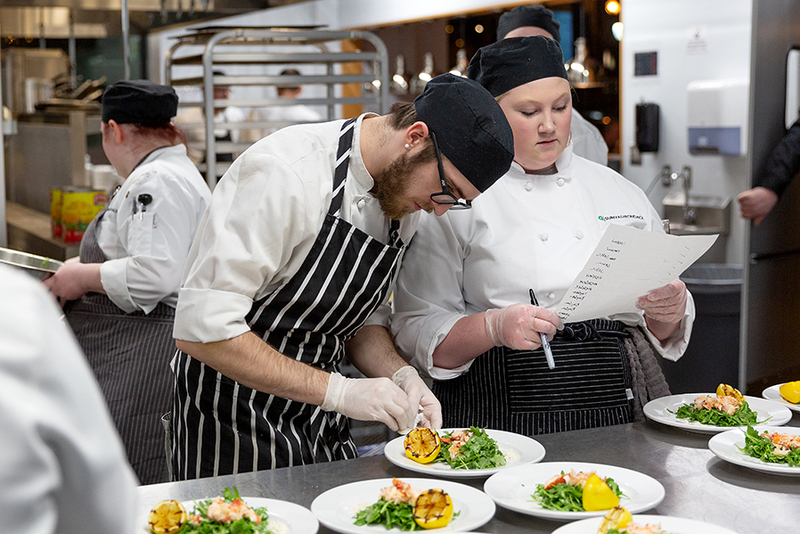 Students in the SUNY Adirondack Culinary Arts program put the finishing touches on a dish during a recent dinner at Seasoned in downtown Glens Falls. There’s more to being a top chef than cooking delicious food. Keith Stewart enrolled in the SUNY Adirondack Culinary Arts program to learn more about the industry after working for several years in area restaurants. Stewart is part of the college’s new Culinary and Baking Arts curriculum, which leads to an associate in occupational studies (AOS) degree. The program, designed specifically for people looking to start a job in the industry, complements the college’s Culinary Arts associate of applied science degree and Commercial Cooking certificate. 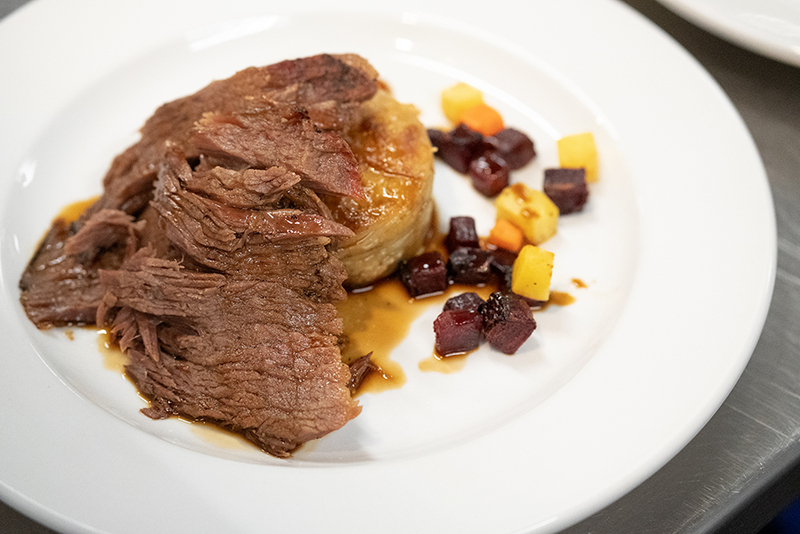 The degree program launched at the same time the college opened its new Culinary Arts Center, which is home to Seasoned, the student-run restaurant. The expanded, state-of-the-art facility in downtown Glens Falls includes a mix of commercial kitchen spaces, classrooms and a public dining room. We had the new AOS in mind when we were designing the new culinary facility and Seasoned. One of the first things that we did was have two separate labs; one that could be a designated bakeshop to support our new baking and confectionary classes and another that would serve as our main kitchen that we could keep 100% gluten free to support not only our special diets class, but so we could offer our diners with allergies a delicious experience,” Paigo said. Matt Bolton, instructor of culinary arts, has seen first-hand how the new location has benefited students in the culinary program. Stewart has enjoyed having the opportunity to interact with the public, both at the restaurant and while serving food at community events. “I’ve learned to communicate better with people. When you are stuck in a kitchen, you don't do that,” he said. He also has benefited from Bolton’s mentorship and the connections the program has to local restauranteurs. Additional new degree programs at SUNY Adirondack include Cybersecurity; Individual Studies; Individual Studies: Music Industry Concentration; Individual Studies: Sport Management Concentration; Information Security; Mechatronics; and Accounting. 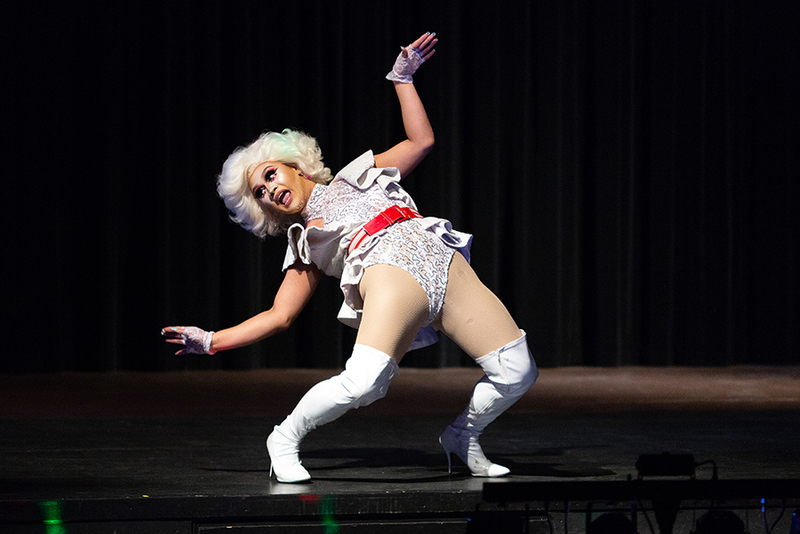 Performer Philly Pina was voted “Miss Slay ADK” during the 2018 SUNY Adirondack drag show. RuPaul’s Drag Race contestant Aja will headline SUNY Adirondack’s annual “Slay ADK” drag show at 8 p.m. April 26 in the SUNY Adirondack Theatre on the Queensbury campus. Aja, a Brooklyn-based performer and rapper, competed on the ninth season of RuPaul's Drag Race and RuPaul's Drag Race All Stars Season 3. “Slay ADK” also will feature performances by Ms. Kitten Kaboodle, Kashi Golean, Opal Essence, Lady Adjacent, Oddity Spell, Jacqueline Frost, Philly Pina and Sandella, with music by DJ Drew Carey. General admission tickets are $15 and can be purchased online. The program is free for SUNY Adirondack students. All proceeds from the annual show benefit LGBTQ+ student awards at the college. Last year’s sold-out performance raised more than $2,750. The audience will have the opportunity to text vote for their favorite regional performer in the “Miss Slay ADK” competition during the show. The event is presented by SUNY Adirondack, Student Senate, College Activity Board, FSA of SUNY Adirondack and the HUB. SUNY Adirondack Upward Bound students placed first in the Green Mountain Scholars Bowl. More than 60 students from Upward Bound programs at SUNY Plattsburgh, University of Vermont, Northern Vermont University — Lyndon, Northern Vermont University — Johnson and Castleton University visited SUNY Adirondack on March 2 for the Green Mountain Scholars Bowl. The students participated in a campus tour, heard from TRIO Upward Bound alumni about college success and then competed in a quiz bowl. SUNY Adirondack came in first in the competition, keeping its crown as the reigning champion. Castleton University came in second, and Northern Vermont University — Lyndon came in third place. 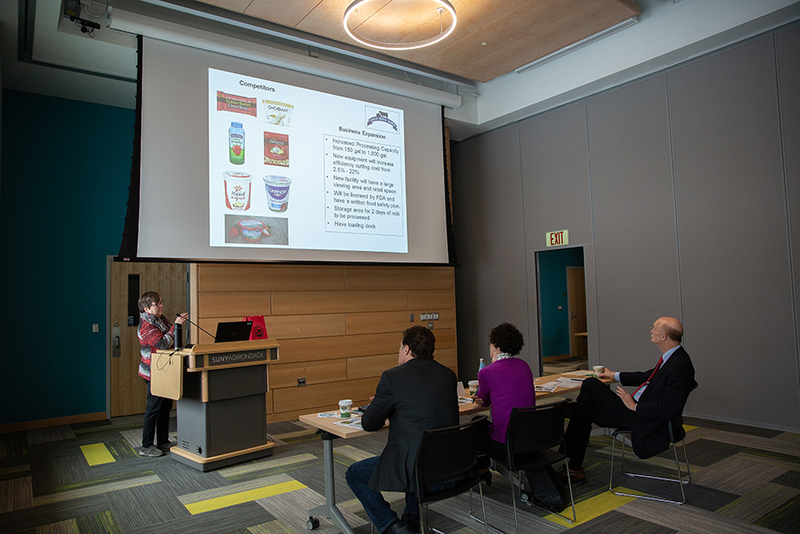 A panel of judges listens to a proposal from Argyle Cheese Farmer during SUNY Adirondack’s inaugural Business Plan Competition. Diane and David Allen of Lavenlair Farm in Washington County were awarded first place and $5,000 on Feb. 7 during SUNY Adirondack’s inaugural Business Plan Competition, organized by Business Central. The competition, which was open to students and the community, was designed to launch a local business or assist a company in moving forward. Judges based their decision based on business presentations and by looking at a variety of factors, including each competitor’s product or service, management ability, financial understanding, venture maturity, concept viability, competitive advantage and the clarity of the pitch. Lavenlair Farm grows French and English lavender for fragrant and culinary use on its organic farm in Whitehall. Argyle Cheese Farmer received a second-place recognition. 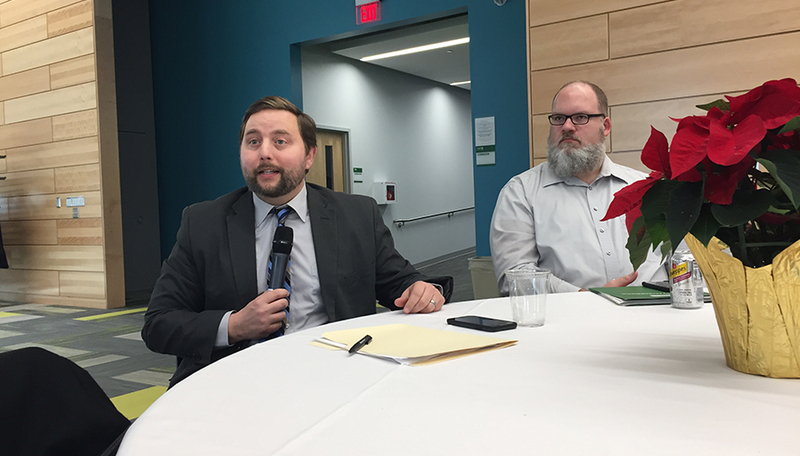 Robert Palmieri, vice president of Enrollment and Student Affairs, and Eric Conduzio, budget analyst, share information during a December Middle States meeting in the Northwest Bay Conference Center on the SUNY Adirondack campus. Like many other colleges and universities, SUNY Adirondack is accredited by the Middle States Commission on Higher Education. Accreditation means that the college meets or exceeds rigorous standards for institutional quality established by Middle States, and provides high quality opportunities for students and that society is well-served. SUNY Adirondack is in the middle of the multi-year process of reaccreditation, which occurs every eight years. The college is deep in the process of collecting and analyzing data to document how it is meeting the criteria specified in each of seven standards established by the Middle States Commission. Many members of the college community are involved in this huge undertaking, including the Board of Trustees, college administration, faculty and students. The detailed work of collecting and applying data and writing the first drafts of the report is nearly complete. The college community will have several opportunities to review the draft report and provide feedback and comments to the self-study team before the end of the Spring semester. SUNY Adirondack will then prepare for Spring 2020 site visits from team members of the Middle States Commission to assess the college’s progress. April is the final month to book reservations for lunch and dinner at Seasoned. Lunch and dinner service at Seasoned, SUNY Adirondack’s student-run restaurant in downtown Glens Falls, continues on Wednesdays and Thursdays through April 25. Lunch includes a three-course gourmet meal consisting of appetizer, entrée, dessert and beverage (soda, tea and coffee). Seating is available at noon, 12:15, 12:30 and 12:45 p.m. Reservations are preferred. The cost is $14.95, plus tax. Dinner includes a five-course gourmet meal including an amuse, appetizer, intermezzo, entrée, dessert and beverage (soda, tea and coffee). Seating is available at 5:45, 6, 6:15, 6:30, 6:45 and 7 p.m. Reservations are preferred. The cost is $24.95, plus tax. A cash bar serving wine and local craft beer is available for both lunch and dinner. The SUNY Adirondack Theatre Program performed Neil Simon’s ‘Brighton Beach Memoirs’ in 2016. The SUNY Adirondack Theatre Program will perform Neil Simon’s “Biloxi Blues” April 11 through 14 in the SUNY Adirondack Theatre on the Queensbury campus. Directed by Jarel Davidow, the comedy is the second-part of Simon’s trilogy, which began with “Brighton Beach Memoirs” and concluded with “Broadway Bound.” The play follows a Brooklyn native through his time during Army training in 1943 Mississippi. Performances are at 7:30 p.m. April 11, 12 and 13 and 2:30 p.m. April 14. General admission tickets will be sold at the door for $10. Seniors and non-SUNY Adirondack students will be admitted for $6. (Cash and checks only.) The SUNY Adirondack community will be admitted free with a valid ID. Alumni and members of the military will receive a $2 discount. 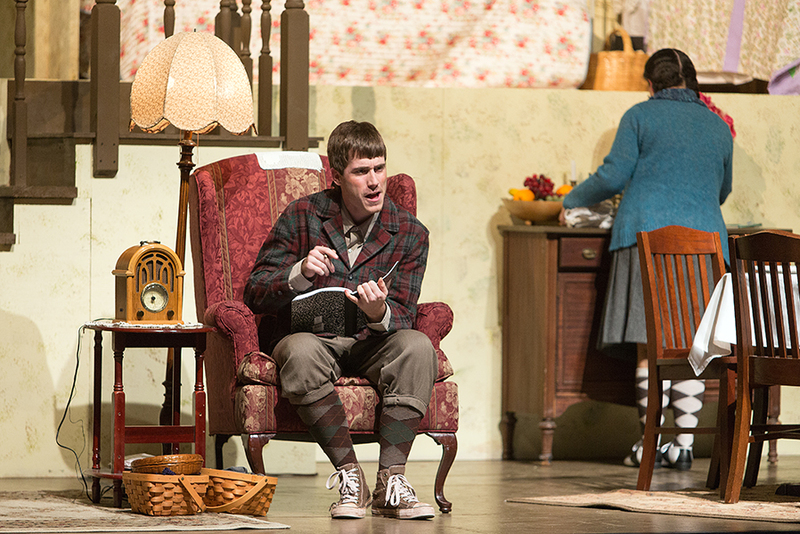 The Theatre Program presented “Brighton Beach Memoirs” in 2016. For more information, call 518.743.2200, ext. 2475. ‘Squeezed’ author Alissa Quart will speak April 3 at SUNY Adirondack. The public is invited to the 31st annual Job Discovery Fair, the region's premier job fair, from noon to 4 p.m. April 3 in the Northwest Bay Conference Center in Adirondack Hall on the Queensbury campus. The event will include 63 employers and employment service providers. 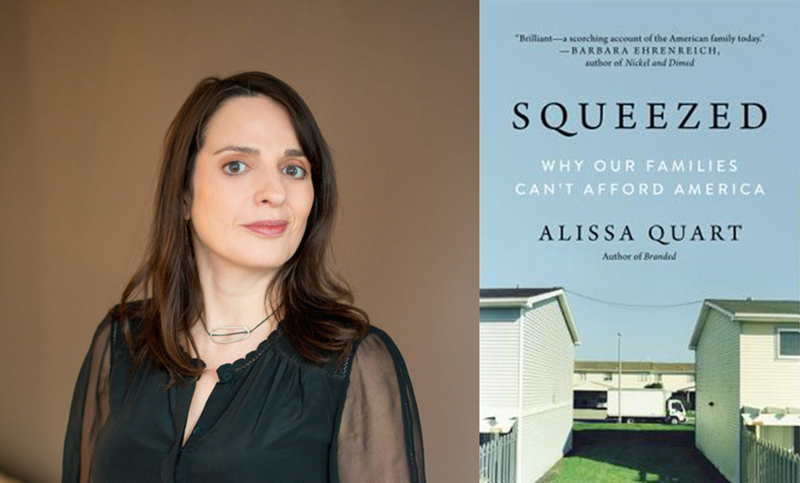 Alissa Quart, author of “Squeezed: Why Our Families Can't Afford America” will speak at 12:40 p.m. April 3 in the Visual Arts Gallery in Dearlove Hall on the Queensbury campus as part of the Writers Project. The program is free and open to the public. Two Planets Away will perform at 12:45 p.m. April 3 in the Student Center as part of the Pamela Firth Music at Midday series. The group performs original rock music in the style of rhythm and blues. The program is free and open to the public. The SUNY Adirondack Alumni Nursing Series will focus on “Best Practices for the Care of Alzheimer’s and Other Dementias: Early Diagnosis and Caregiver Support” from 5 to 6:30 p.m. April 3 in Bryan Hall, Room 128, on the Queensbury campus. Speakers from Glens Falls Hospital’s Center for Excellence for Alzheimer’s Disease and the Alzheimer’s Association and Caregiver Support Initiative will present a panel presentation, which will be followed by a question-and-answer session. The program will help participants increase their knowledge of the importance of early screening for Alzheimer’s disease and other dementias and recognize possible symptoms. Speakers will discuss the benefits and strategies for initiating the conversation about early screening and identify the array of caregivers support in our community. To RSVP or to learn more about available CE credit, contact Jill Vogel at 518.743.2244 or vogelj@sunyacc.edu. SUNY Adirondack employees are invited to join TCT Federal Credit Union and Adirondack Broadcasting for an After-School Staff Appreciation Party from 3 to 6 p.m. April 4 at the Bullpen Tavern on Glens Street in Glens Falls. The event will include free food and live music by Kelly & Son. DJs from Froggy 100.3 and Q-101.7 will be on hand to raffle off prizes, including dining, passes to area events, Visa gift cards and more. Admission is for local school staff employees only, and guests must be 21 or older to attend event. A SUNY Adirondack Faculty Recital, featuring works by Mendelssohn, Speach, Led Zeppelin and more, will be held at 7:30 p.m. April 4 at the Church of the Messiah, 296 Glen St. in Glens Falls. Taps and Apps, a collaborative tasting event pairing appetizers created by students from the SUNY Adirondack Culinary Arts Center with craft beers by Common Roots Brewing Co., will be held from 6 to 8 p.m. April 5 at Seasoned, 14 Hudson Ave. in downtown Glens Falls. Tickets, which are $60, are available online. Guests must be 21 or older to attend. Brian Rollo, business consultant and host of the “Lead with Impact” podcast, will present “Creating a World-Class Workplace Culture” from 7:30 to 9 a.m. April 8 in Adirondack Hall on the Queensbury campus. Registration, which is $15 per person, should be made online. Adirondack students, faculty and staff will be admitted free with a valid SUNY Adirondack ID card but are asked to preregister. Dickie Ogden will perform at 12:45 p.m. April 8 in the Visual Art Gallery in Dearlove Hall as part of the Pamela Firth Music at Midday series. The program is free and open to the public. A Self Defense Class will be held from 4:30 to 6 p.m. April 9 in the Multipurpose Room of the Residence Hall as part of the college’s “I Ask: Sexual Assault Awareness Month” programming. For more information, contact Title IX Coordinator Lottie Jameson at jamesonl@sunyacc.edu. Tom Torrisi will perform 12:45 pm. April 10 in the Visual Art Gallery in Dearlove Hall as part of the Pamela Firth Music at Midday series. The program is free and open to the public. Author Zoë Flowers will perform “Ashes” — a collection of monologues, vignettes and poems documenting original stories of domestic abuse — during a “WE.SAY.NO” event from 6 to 8 p.m. April 11 in the Multipurpose Room in the Residence Hall on the Queensbury campus. Flowers will be joined by three performers from the community during the production, which is sponsored by the Zonta Club of Glens Falls, SUNY Adirondack, Glens Falls Hospital, the Domestic Violence Project of Warren a Washington Counties (a program of Catholic Charities) and New York State Coalition Against Domestic Violence. An audience-panel discussion will follow featuring community and campus leaders and New York State Coalition Against Domestic Violence leaders. A book signing will conclude the event. The program is free and open to the public. A Health and Wellness Fair will be held from 5:30 to 8:30 p.m. April 11 in the Multipurpose Room of the Residence Hall as part of the college’s “I Ask: Sexual Assault Awareness Month” programming. For more information, contact Title IX Coordinator Lottie Jameson at jamesonl@sunyacc.edu. The SUNY Adirondack Theatre Program will perform Neil Simon’s “Biloxi Blues” April 11 through 14 in the SUNY Adirondack Theatre on the Queensbury campus. Performances are at 7:30 p.m. April 11, 12 and 13 and 2:30 p.m. April 14. General admission tickets will be sold at the door for $10. Seniors and non-SUNY Adirondack students will be admitted for $6. (Cash and checks only.) The SUNY Adirondack community will be admitted free with a valid ID. Alumni and members of the military will receive a $2 discount. SUNY Adirondack will hold its annual Open House from 9 a.m. to noon April 12 in the Northwest Bay Conference Center in Adirondack Hall on the Queensbury campus. Prospective students and their families will have the opportunity to meet with faculty and staff, learn about the college’s programs and tour campus facilities. Advance reservations are requested. SUNY Adirondack alumnus Buck Bryan — a successful entrepreneur, U.S. Navy veteran, commercial pilot and philanthropist — will speak at noon April 17 in the Center for Entrepreneurship in Adirondack Hall on the Queensbury campus. The program, which is part of the Conversations with Entrepreneurs series, is free, but advance registration is requested for the Business Central event. An “I Ask: Sexual Assault Awareness Month” seminar is planned from 12:30 to 2 p.m. April 17 in Dearlove Hall, Room 211. For more information, contact Title IX Coordinator Lottie Jameson at jamesonl@sunyacc.edu. Accomplished clarinetist Paul Green will perform traditional Jewish Klezmer music at 6 p.m. April 17 in the Visual Arts Gallery in Dearlove Hall on the Queensbury campus. Green has performed around the world as a classical clarinetist. The program, which was rescheduled due to inclement weather, is free and open to the public. “The Importance of a Social Media Plan,” a seminar to help local businesses advance their brand, will be held from 7:30 to 9 a.m. April 18 at SUNY Adirondack’s Wilton Center. Registration is $15 per person, and advance registration is requested. SUNY Adirondack students, faculty and staff will be admitted free with a valid SUNY Adirondack ID card. The third annual Bites and Flights Craft Beer Pairing, a partnership between SUNY Adirondack’s Culinary Arts program and Adirondack Pub & Brewery, will be held from 6 to 8 p.m. April 19 at Seasoned, the college’s student-run restaurant in downtown Glens Falls. The SUNY Adirondack Culinary Arts program will offer an open-floor-plan dining experience with five stations. Each station will highlight a different, unique cuisine paired with an Adirondack Brewery beer. Tickets for the event, which includes live music, are $25 in advance and $30 at the door. For a complete menu and to purchase advance tickets, go online. Business Central will hold an “Instagram for Business” seminar from 7:30 to 9 a.m. April 25 in the Center for Entrepreneurship in Adirondack Hall on the Queensbury campus. Registration is $15 per person, and advance registration is requested. SUNY Adirondack students, faculty and staff will be admitted free with a valid SUNY Adirondack ID card. Upstander Training is planned from 12:45 to 1:45 p.m. April 26 in the Scoville Learning Center, Room 210 as part of the college’s “I Ask: Sexual Assault Awareness Month” programming. For more information, contact Title IX Coordinator Lottie Jameson at jamesonl@sunyacc.edu. RuPaul’s Drag Race contestant Aja will headline SUNY Adirondack’s annual “Slay ADK” drag show at 8 p.m. April 26 in the SUNY Adirondack Theatre on the Queensbury campus. General admission tickets are $15 and can be purchased online. The program is free for SUNY Adirondack students. 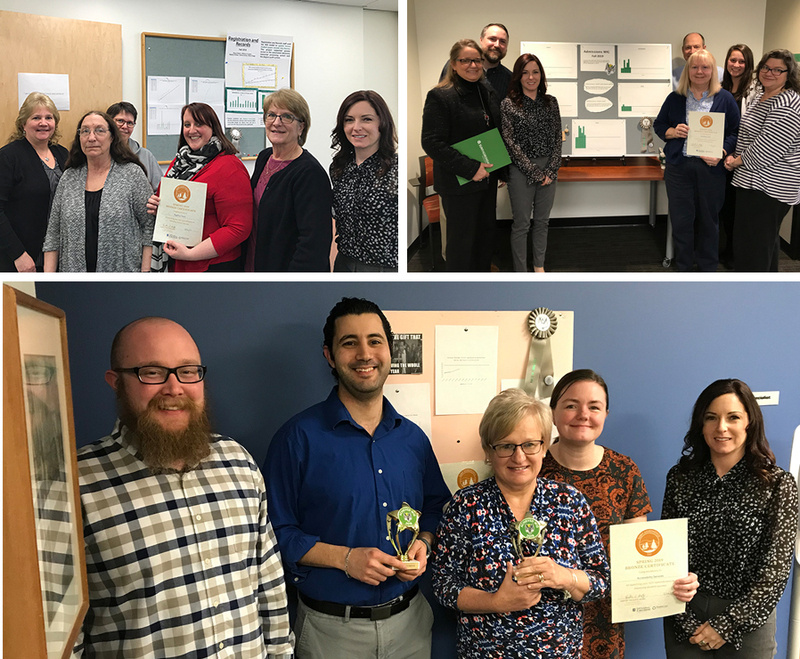 Congratulations to the Registrar’s Office, Admissions Office and Accessibility Services on being awarded a Bronze Certificate for meeting all of the requirements to kick off their 4DX Spring commitments to advancing student success. Jill Vogel, assistant director of the SUNY Adirondack Foundation, recently presented at the Council for the Advancement and Support of Education (CASE) District II Regional Conference in Philadelphia. The session focused on the impact of a SUNY community college professional development retreat she has chaired the last six years and strategies to implement similar opportunities for professionals in other areas. Matt Bolton, SUNY Adirondack culinary arts instructor, will be included in the May 17 Albany Business Review’s 40 Under 40 publication, which recognizes 40 leaders under the age of 40 who demonstrate business acumen, leadership skills and community involvement. SUNY Adirondack President Kristine Duffy has been appointed to the board of directors of Glens Falls National Bank and Trust Company. Duffy serves on the boards of the Warren County Economic Development Corporation and the YMCA of Glens Falls. She is a member of the Rotary of Glens Falls and the Saratoga Economic Development Corporation. She is also Secretary of the New York Association of Community College Presidents. The appointment will commence on April 24. From left, SUNY Adirondack bowling coach Xiao Li, Adrien Hollister, Mike Boyce and assistant coach Shaun Nicholson pose during the NJCAA Bowling Championships. The SUNY Adirondack Timberwolves Bowling team placed ninth out of 19 teams during the NJCAA Bowling Championships in early March in Cheektowaga, New York. 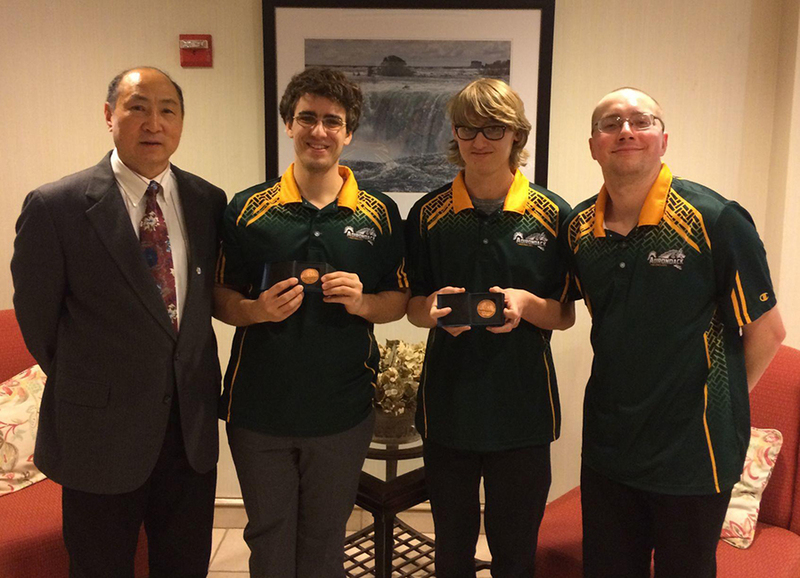 Under the leadership of coach Xiao J. Li, team members Michael Boyce and Adrien Hollister earned a bronze medal in men’s doubles, scoring 1,193 pins combined. Boyce finished in ninth place overall, just one spot out of All-American status, with a total of 2,277. Hollister finished 32nd with 2,055, Justin Boehlke was 42nd with 2,022 and Cody Seaver placed 59th. To be eligible, SUNY Adirondack alumni must have completed at least one full season as an athlete and not been enrolled for more than five years. In addition, honorary nominations for notable faculty, coaching staff, administration, contributors and supporters who have had an impact on the athletic department are all eligible for consideration. Nominations are due by May 15. Submissions can be mailed to Julie Clark, Assistant Director of Athletics, 640 Bay Road, Queensbury, NY 12804; emailed to clarkju@sunyacc.edu; or submitted directly online. The induction ceremony will take place on Oct. 19 on the SUNY Adirondack campus. The deadline for SUNY Adirondack Trailblazer nominations is April 5. SUNY Adirondack would like to recognize and celebrate our alumni and their achievements through the Trailblazer Society. 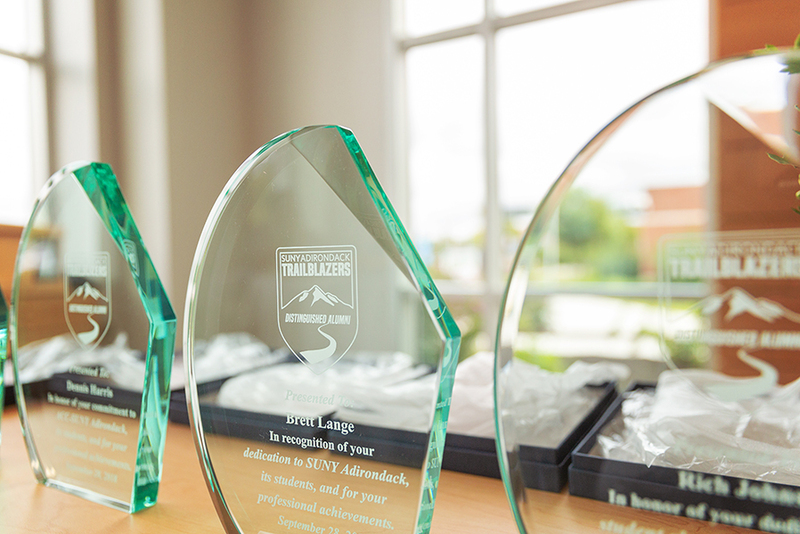 Launched in the spring of 2018, the program recognizes alumni with demonstrated excellence in the areas of professional achievement, community service, service to ACC/SUNY Adirondack and/or outstanding spirit. Please consider nominating someone today. To view the criteria, learn about the program, and to nominate someone, visit sunyacc.edu/trailblazers. The deadline to nominate is April 5. The SUNY Adirondack Foundation will hold the Lyman A. Beeman Jr. Annual Golf Tournament on May 31. The SUNY Adirondack Foundation invites you to participate in the 30th anniversary of the Lyman A. Beeman Jr. Annual Golf Tournament on May 31. Through the years, the tournament has raised more than $350,000 to benefit the SUNY Adirondack Foundation scholarship program. 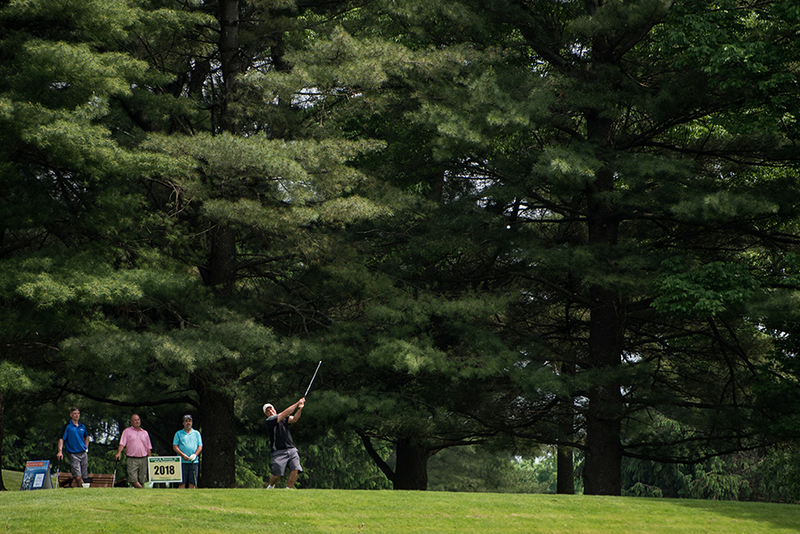 The golf outing at Hiland Park Country Club includes a barbecue lunch, cocktail reception and awards ceremony. Prizes are awarded for low gross, the top three low net scores, the women’s team with the lowest net score, longest drive and closest to the pin. The entry fee is $160 per player or $640 for a foursome. Registration and lunch begin at 11:30 a.m., with a shotgun start at 1 p.m. The format is a four-person scramble. To register, visit sunyacc.edu/beemangolf. 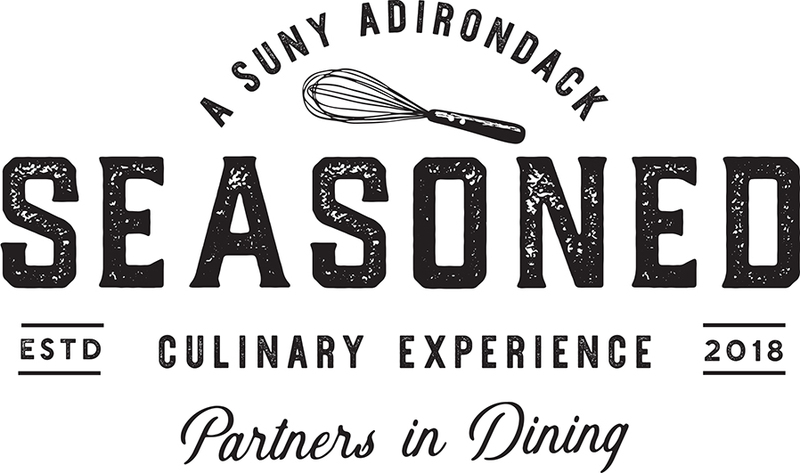 The Partners in Dining program offers community members an opportunity to dine at SUNY Adirondack's student-run restaurant, Seasoned, and support the college’s Culinary Arts program. The Partners in Dining packages are now available at a variety of levels: four meals for $125; eight meals for $250; and 16 for $500. Each level includes a donation to benefit the Culinary Arts program. Partners in Dining certificates never expire and are perfect for business lunches, client dinners or employee rewards. If you’re interested in becoming a Partner in Dining, visit sunyacc.edu/partners-dining for more information or call the SUNY Adirondack Foundation at 518.743.2243. 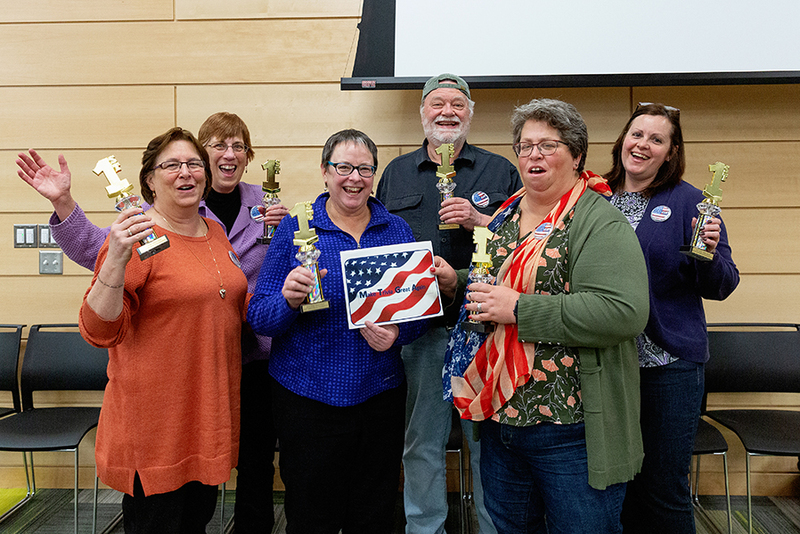 Make Trivia Great Again won first place in the 2019 Howl Trivia event. More than 25 teams competed in the annual Howl Trivia Night on March 22 in the Northwest Bay Conference Center on the SUNY Adirondack campus. The SUNY Adirondack Foundation plans a special day of giving on April 10. Called ADay4ADK, the goal is to raise $2,400 in 24 hours by asking alumni, faculty and staff to show their pride with a gift to the SUNY Adirondack Annual Giving Campaign. More than half of the college’s alumni live in Warren, Washington and Saratoga counties. Many alumni stay engaged with the college after graduation, and this is another opportunity to connect with their alma mater and, through a donation, ensure its success into the future. support college strategic projects and student success initiatives. Open Enrollment runs April 24 through May 10. Blue Shield will issue new ID cards for the new plan year. Group numbers will be changing, but subscriber numbers will remain the same. Looking to save time and money on health care costs? The Wellness Program at SUNY Adirondack is designed to arm you with tools and resources to help you reach your goals while being proactive about your health. The requirements of the program will provide you with information about your current health status and help you set realistic wellness goals. All active benefits eligible employees that are enrolled in SUNY Adirondack’s health plan are eligible to participate. Participation and Completion Requirements must be completed by both the employee and covered spouse to qualify for discounted premiums. Need additional assistance? Contact the JFA Group Service Team at 518.373.0069, ext. 280, or groupservice@jaegerflynn.com.